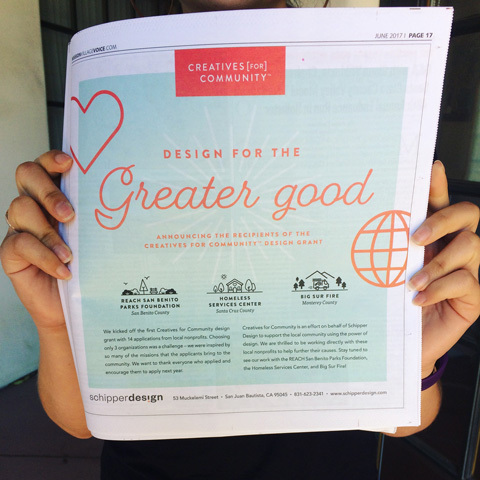 Design for the greater good, locally. Here at Schipper Design, when we set out to give back to the community, we play to our strengths. 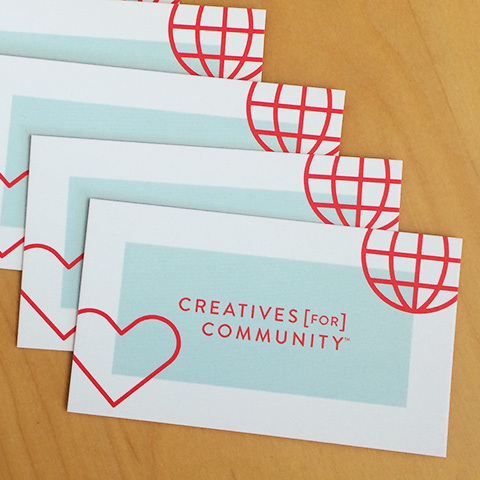 The Creatives for Community grant program is one way of helping our local communities by doing what we do best – design. 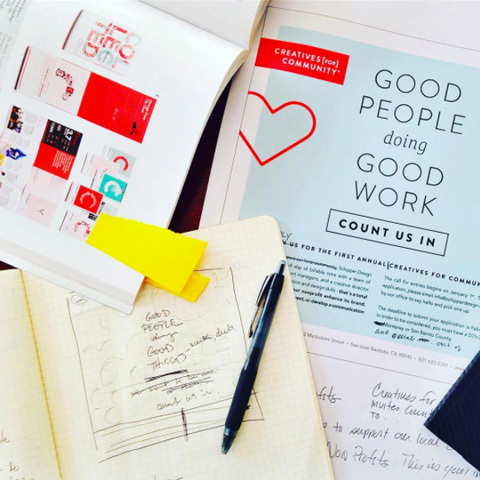 Brainchild of Kathy Schipper, the program stemmed from years of collaboration with nonprofits and her firm belief that nonprofits are an essential part of a healthy community, and deserve to have marketing materials equal to their for-profit counterparts. 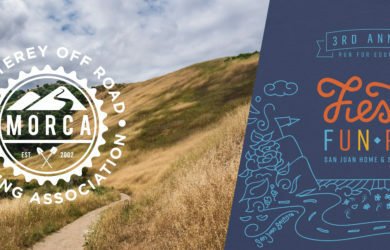 This year, 13 nonprofits from Monterey County, Santa Cruz County and San Benito County applied for the grant, and one nonprofit from each county was chosen – Big Sur Volunteer Fire Brigade, Homeless Services Center, R.E.A.C.H. San Benito Parks Foundation (respectively). 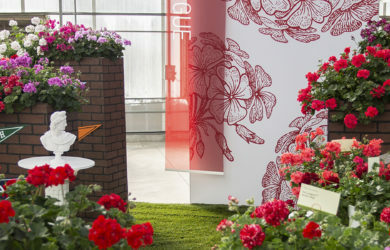 In this yearly program, each nonprofit receives 30 hours of graphic design time and personalized attention from the design and account management staffs. Kathy takes the lead in creative direction, but otherwise steps aside, thus promoting leadership-building among the account managers and allowing for unique relationships to form between designers and the clients. Look out for Creatives for Community updates on social media and in local central California newspapers throughout the year. Our hope is to expand the program to include other agencies and businesses in the future. If you would like to apply for the Creatives for Community grant, applications open in January every year. Send an email to info@schipperdesign.com to receive an application, or visit our website for more information.